Ready! Set! Stop! Home selling pitfalls to prepare for!! Not that you really can prepare for the unexpected (isn’t that why we call it “un”expected?!) but at least if you are planning on selling your home, you can try to overcome two of the most common pitfalls that Sellers face before they happen to you! In my experience, 24 years and counting, the number one thing that can go wrong once a Buyer and Seller have negotiated, come to agreement, and have a valid Purchase and Sales Agreement (contract!!) is a problem with the Buyer’s financing. Sellers, please please ask the Buyer or the Buyer’s agent to give you a pre approval letter from the lender BEFORE you sign that contract. 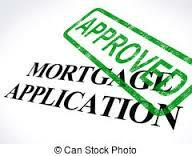 And Buyer’s, please please have a pre approval letter from your lender BEFORE you sign that contract!! Nothing is worse for either side in a real estate transaction than to realize that the Buyer isn’t quite ready financially to purchase a home. And equally as important Mr and Ms Buyer, once you get that approval, don’t do ANYTHING that changes your financial picture. Lenders WILL run credit again and ask for employment verification again to make sure everything is the way it was when you applied for financing. Trust me, they will. And if you have purchased a new living room set or changed jobs, the whole transaction can quickly fall apart. So have you had a bad experience? Any suggestions to share with me?